Fascinating answers to quirky questions about languageWhy is it not wrong to be doubly negative? Where do you place the stress in such words as 'dissect'? Where do 'wowser', 'craw thumper' and the 'f-word' come from? Do New Zealanders mangle the English language? Should we say different 'from' or 'to' or 'than'? We use it every day, but what is this thing called language, and are there rights an… d wrongs about its use? 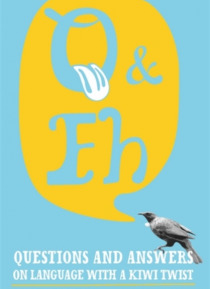 Four leading linguists, with specific interest in New Zealand English, tackle the common-place and quirky questions that arise from what we say, read and write. Funny, accessible, informative, this is a fascinating book.